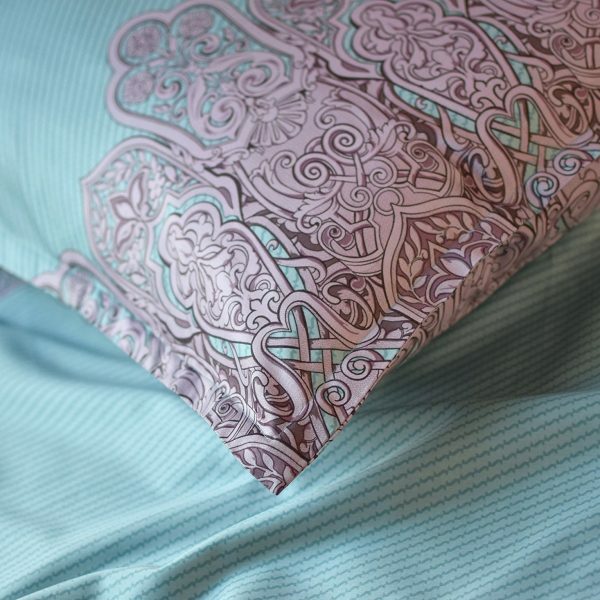 Elegant ornamental paisley scroll pattern in dusty turquoise sky blue and Mauve lilac shades, same design on both sides. Fade and wrinkle resistant densely woven sateen that won’t pill or fade. 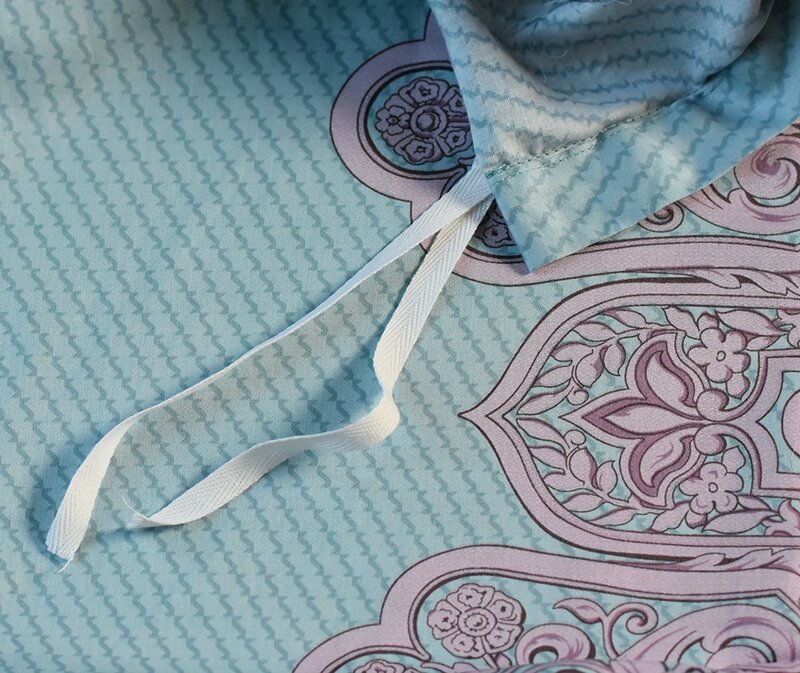 Inside ties and button closure will hold your comforter or quilt in place. 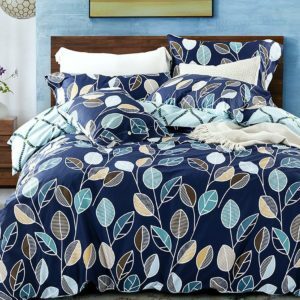 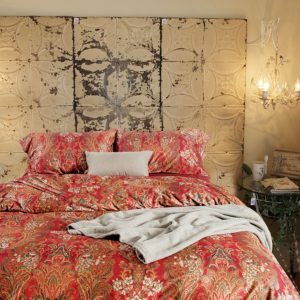 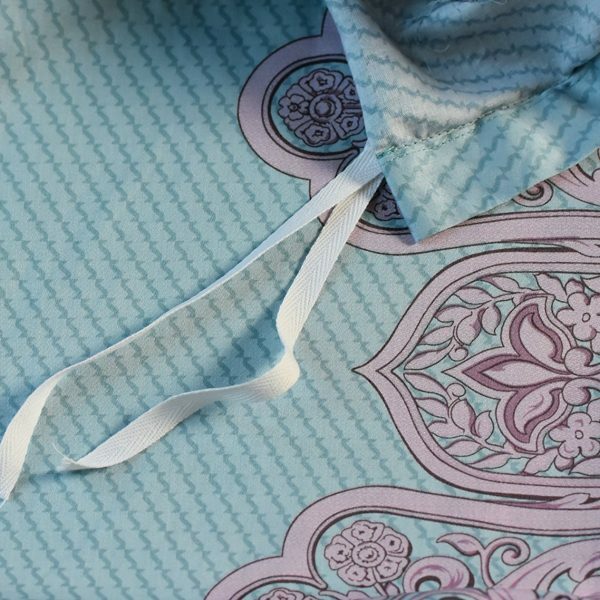 Hidden ties and button closure will keep your comforter or blanket in place. 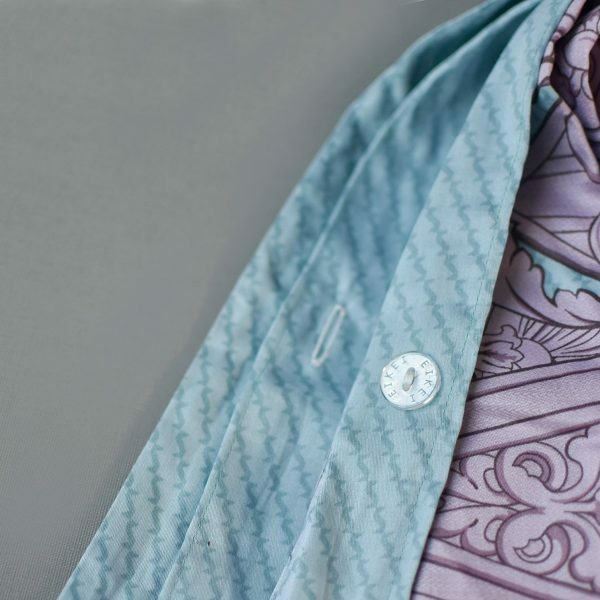 Machine washable and dry-able.